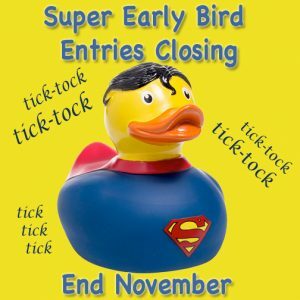 Super EarlyBird Entries Closing Soon! You are invited to participate in the 27th Canberra Walking Festival! We hope you will join us. Note that we have a new start location for 2018 at the Albert Hall. Available at the Control Centre, located at: Albert Hall, 100 Commonwealth Ave – next to Hyatt Hotel. Please note that bus transport to the start of the walks on Sunday is not guaranteed for “on the day” registrations, and will be subject to space availability. Walk Options – A variety of walk options to showcase the best of Canberra. Thursday 5th April 9.30am, Mt Ainslie and Mt Majura, 15km on the Centenary Trail with Walking For Pleasure – starts and finishes at the Australian War Memorial (outside Poppy’s cafe). $5 for IVV stamp for non-WFP members – payable on the day. Friday 6th April 11am, Capital Walk, 11km – starts and finishes at the Control Centre for the Festival, returning in time for the Welcome Walk and official opening. $5 for IVV stamp – payable on the day. Friday 6th April 3pm, Welcome Walk, 5km – explore the Parliamentary Triangle in small groups followed by the official opening ceremony and reception. $5 per person, includes reception and IVV stamp. Saturday 7th April – Distance options are 5km, 11km, 21km and 42.2km. Entry includes event support, IVV stamp, and marathon medal for those finishing the marathon. Sunday 8th April – Distance options are 5km, 10km, 21km and 26km. Entry includes event support, IVV stamp, IML stamp for those completing the required distance on Sat and Sun, and Canberra Two Day Walk medal for those walking any distance on both Sat and Sun. On Saturday and Sunday the start times vary depending on your chosen distance – full details on the Canberra Walking Festival page. Free bus is provided to the start of your chosen walk distance on Sunday, so it is important that you arrive in time to catch the bus!